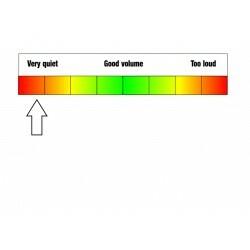 IEP Goals: Given a visual voice volume control indicator (very quiet/good volume/too loud), STUDENT will respond with the appropriate voice volume when an adult points to, marks off, or clips the expected voice volume, in 4 out of 5 occurrences, by MONTH, YEAR. 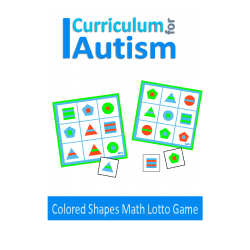 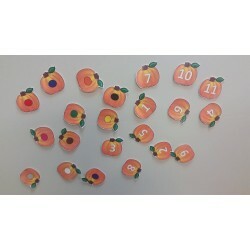 IEP Goals: Given a game containing a variety of visual designs and shapes for visual discrimination practice, STUDENT will match the correct cards as they are called, with 80% accuracy, in 4 out of 5 opportunities, by MONTH, YEAR. 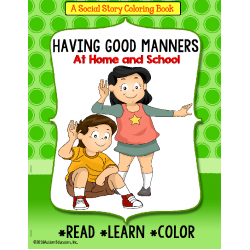 IEP Goals: Given a social story and worksheets related to a life skill (manners), STUDENT will recall and demonstrate up to three good manner examples, by following through with each example in 4 out of 5 trials, by MONTH, YEAR. 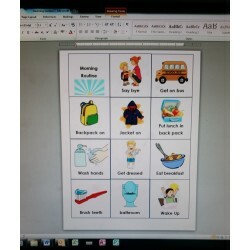 IEP Goals: Given strategies (writing/reciting)to learn how to dial/tap personal and emergency phone numbers, STUDENT will demonstrate mastery by independently writing/saying up to two phone numbers (ex. 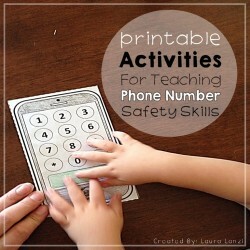 911/personal number) with 80% accuracy, in 4 out of 5 opportunities, by MONTH, YEAR. 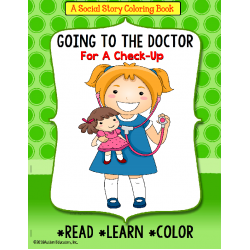 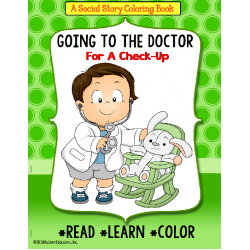 IEP Goals: Given a social story related to a life skills event (going to the doctor), STUDENT will read/listen while being read to, the story and repeat back up to three events or situations which have occurred in the story, with 80% accuracy, in 4 out of 5 opportunities, by MONTH, YEAR. 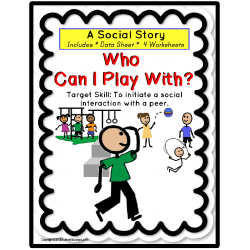 IEP Goals: Given up to (#) social scenarios with visuals, STUDENT will identify the appropriate emotion (happy/sad/mad) by choosing the correct response card, with 80% accuracy, in 4 out of 5 opportunities, by MONTH, YEAR. 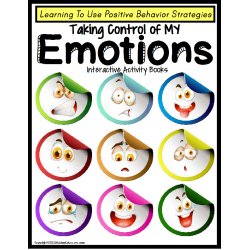 Given visuals and calming strategy choices, STUDENT will demonstrate understanding of at least 3 of these taught strategies to use during times of frustration or anger, in 4 out of 5 occurrences, by MONTH, YEAR. 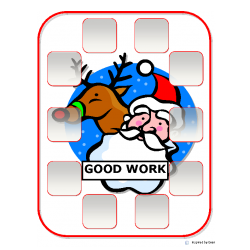 IEP Goals: Given a token reward system in order to achieve a positive final result, STUDENT will place each card in position as tokens are earned for good deeds, academic or social achievement, with 80% accuracy, in 4 out of 5 opportunities, by MONTH, YEAR. 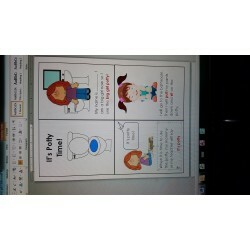 IEP Goals: Given an eight page personalized story reminding a boy/girl to urinate in the toilet, STUDENT will access the story throughout the school day, in 4 out of 5 occurrences, by MONTH, YEAR. 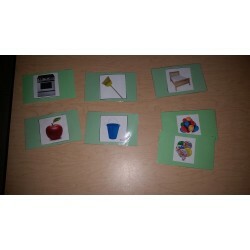 IEP Goals: Given up to twelve real-life images of community workers, STUDENT will identify each person's job by using a complete sentence, with 80% accuracy, in 4 out of 5 opportunities, by MONTH, YEAR.